Over 1,800 Vermonters will receive checks from Suburban Propane over the next two months. 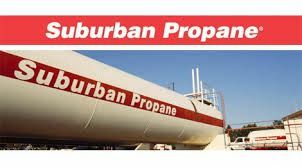 The checks are part of a settlement made by Suburban Propane LP on Friday with Vermont for claims that the company violated Vermont consumer protection laws. Attorney General, William Sorrel discovered Suburban had a deficient system for complying with the states time frames for removing storage tanks and issuing refund checks after consumers terminated service. Suburban improperly billed customers and charged a regulatory fee that was not allowed under Vermont law. In addition, customers were terminated without receiving a mandatory 14-day notice. Suburban will pay $311,357 to Vermont consumers, $200,000 to the Low Income Home Energy Assistance Program (LIHEAP) and $200,000 in civil penalties to the State of Vermont. This is the fourth and largest settlement since 2012 with a propane provider that failed to abide by Vermont’s timeframes regarding service termination. A father and daughter from Maryland saved a Claremont man from a fiery car crash on I-91 in Springfield early Friday morning Police say just after midnight Gene Farnham 66, crashed his car in a tree on the median and then caught fire. Marie Lajoie and her father Michael Lajoie of Maryland stopped when they saw the flames. Marie Lajoie gained entry to the car by breaking rear passenger window and pulled Farnum from the car along with her father. Officer Steven Neilly of the Springfield Police Department arrived shortly after and assisted them with moving him further away from the burning wreckage and across the interstate. Farnham was transported to the Springfield Emergency with non-life threatening injuries. The Vermont State Police are continuing to investigate the cause of the crash. Anyone who witnessed the incident is asked to contact Trooper Ryan Wood of the Vermont State Police, Rockingham Barracks at 802-875-2112. The Town Clerk and Tax Collector’s Office started new hours last Friday. The office is now opened from 8:00 am – 12:30 pm and 1:30 pm – 4:00 pm Monday through Friday. A Claremont man was arrested for possession of bath salts on Thursday night. Police say John K Murray’s arrest was made in cooperation with the New Hampshire Attorney General’s Drug Task Force and New Hampshire State Police. Synthetic drugs known as Bath Salts continue to be a significant safety risk to the public. The Claremont Police Department, New Hampshire Attorney General’s Drug Task Force and the New Hampshire State Police continue to work together to stop the sale of these illicit drugs in our communities and the State of New Hampshire.